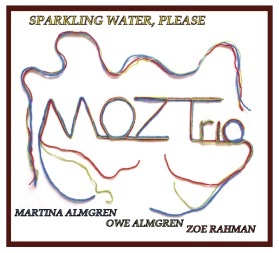 Debut album from the British pianist Zoe Rahman together with Swedish bass player Owe Almgren and drummer Martina Almgren. "Sparkling Water, Please" was recorded and mixed at State of the Ark studios, London in November 2012 together with sound engineer Åke Linton. Mastering by Claes Persson in Stockholm.